A rooftop wedding ceremony at Lofts at Prince, SoHo, NYC. Immediately after the ceremony we gathered for a few quick family photos. The father of the bride spontaneously kissed his daughter on the cheek. These are the moments I love. 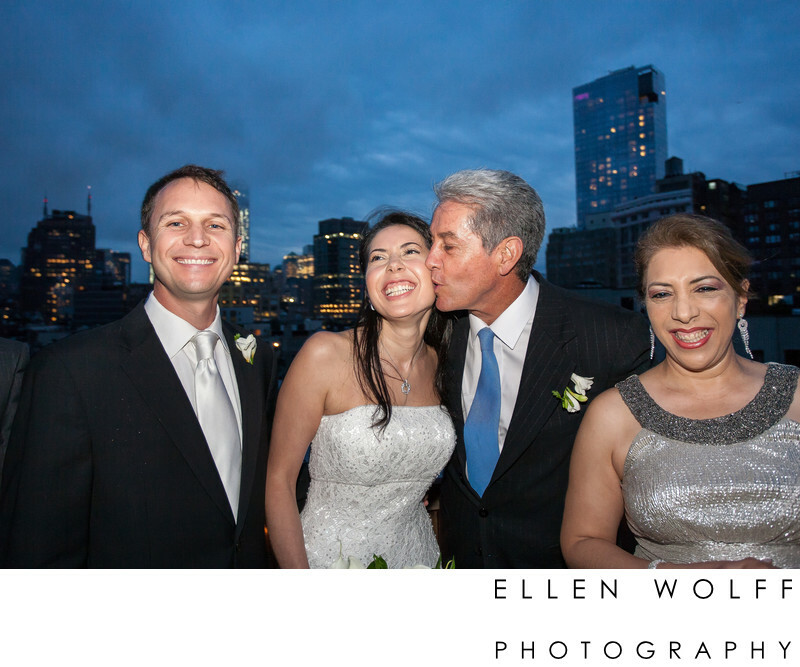 I love her smile!Keywords: rooftop wedding photography (3), SoHo NYC (6), The Lofts at Prince (6).